Grew Up… in a working class family in Everington, in the north of England. Billy’s father and brother are both coal miners who value their working-class, masculine roots. Living… through hard times. The Elliot family has been hit hard by the Thatcher government, and so decide to strike in support of the miners’ union. On top of it all, Billy’s mother passed away only a year ago. Visiting… a ballet class. Billy’s father encourages his son to try boxing, but Billy prefers to use his agile talents for his true passion: ballet. Unbeknownst to the rest of the family, he has shown a predilection for the fine art of ballet dancing. Interests… dancing. Billy has shown great talent, and his teacher has told him to apply to the Royal Ballet School in London. 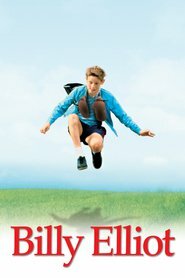 Billy Elliot's popularity ranking on CharacTour is #3115 out of 5,000+ characters. See our top-ranked characters and read their profiles.